Adopted on March 27, 1985. No. 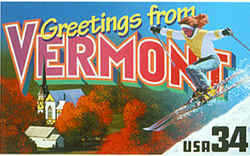 9 of the Acts of 1985, effective March 27, 1985, designated the official state soil by the Vermont Legislature in March 1985. It was selected from among more than 160 different soil series in the state. As it is a typical "hill farm" and "sugarbush" soil, the Tunbridge series well represents the soil resources of Vermont. A soil formed in loamy glacial till, it has good potential for agriculture and forestry. As Professor Richmond Bartlett of UVM says, "It's the soil that makes Vermont hills greener than those either in New Hampshire or New York." A state soil is represented by a Soil Series that has special significance to a particular state. Each state has selected a State Soil. These "Official State Soils" share the same level of distinction as official state flowers and birds. There was an exhibit of all State Soils at the Smithsonian Museum in Washington, D.C. The Tunbridge series became the third official State Soil in the country in March 1985. The series was named after the town of Tunbridge, Orange County, Vermont. 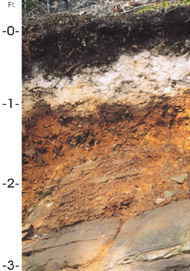 Soil series are areas that have similarities between soil characteristics. They are grouped and labeled as series because their similar origins, chemical, and physical properties. Soils of the same series "behave" similarly for land use purposes. A soil series name generally is derived from a town or landmark in or near the area where the soil series was first recognized. Some other examples of series names in Vermont are Cabot and Vergennes. A soil series is a naturally occurring entity on the landscape. Therefore, a given series is not restricted within the confines of only one state. Consequently, a number of state soils range beyond their respective states. 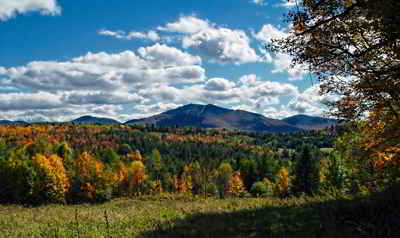 Vermont state soil Tunbridge is also found in New York, Maine, New Hampshire, and Massachusetts. The Tunbridge series (course-loamy, mixed, frigid Typic Haplothrod) consists of moderately deep to bedrock, well drained soils. It was selected from among more than 160 different soil series in the state. 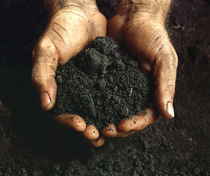 As it is a typical "hill farm" and "sugarbush" soil, the Tunbridge series well represents the soil resources of Vermont. A soil formed in loamy glacial till, it has good potential for agriculture and forestry. As Professor Richmond Bartlett of UVM says, "It's the soil that makes Vermont hills greener than those either in New Hampshire or New York." The Tunbridge series consists of loamy, well-drained soils that formed in Wisconsin-age glacial till. These soils are 20 to 40 inches deep over schist, gneiss, phyllite, or granite bedrock. They occur extensively in mountainous areas of Vermont, in all but one county. The Tunbridge series became the third official State soil in the country in March 1985. The series was named after the town of Tunbridge, Orange County, Vermont. SERIES ESTABLISHED: Orange County, Vermont, 1975. The law designating the tunbridge soil series. as the official Vermont state soil is found in the Vermont Statutes Annotated, Title 1, Chapter 11, Section 504. The state soil shall be the tunbridge soil series. HISTORY: Added 1985, No. 9, § 1, eff. Mar. 27, 1985.